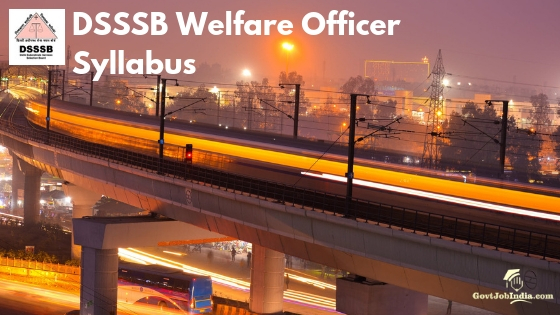 DSSSB Welfare Officer Syllabus: Applicants can begin preparing for the Tier 1 & Tier 2 examination with the help of DSSSB Welfare Officer Syllabus. Syllabus and important subjects for both the examinations are almost similar. Only the topics for Tier 2 test would be a little advance. Please note that Tier 1 Examination would be a selection round for Tier 2 test which is the 2nd stage. Post that would be a skill test or endurance test. Due to posts like stenographer candidates might need to go through a typing test. Details about the same will be provided by the authority @ delhi.gov.in. Keep checking the official commission website @ delhi.gov.in. Also, the latest details and updates will be added right here. Hence, applicants are requested to bookmark the page. We have added an image below. The image includes Tier 1 and Tier 2 Syllabus and Exam Pattern. The selection procedure set by the state commission includes Tier 1 Examination, Tier 2 Examination and a skill test if required. Please note that the Tier 1 test will be conducted to shortlist candidates for next round that includes Tier 2 examination. On the basis of Tier 1 examination notifications will be sent to selected applicants. As there are posts such as Stenographer Gr II there might be a skill test that includes typing. If so, you will be duly informed by the recruitment board. As of now we have not received details regarding final selection or merit list. Any updates or changes from the authority regarding final merit list, cut off etc will be available right here. Also, you can check the official website @ delhi.gov.in for the same. Below is a screenshot from the DSSSB recruitment Pdf. It includes DSSSB Welfare Officer Syllabus and DSSSB Welfare Officer Exam Pattern. The same comprises Tier 1 and Tier 2 examination important topics and paper pattern. 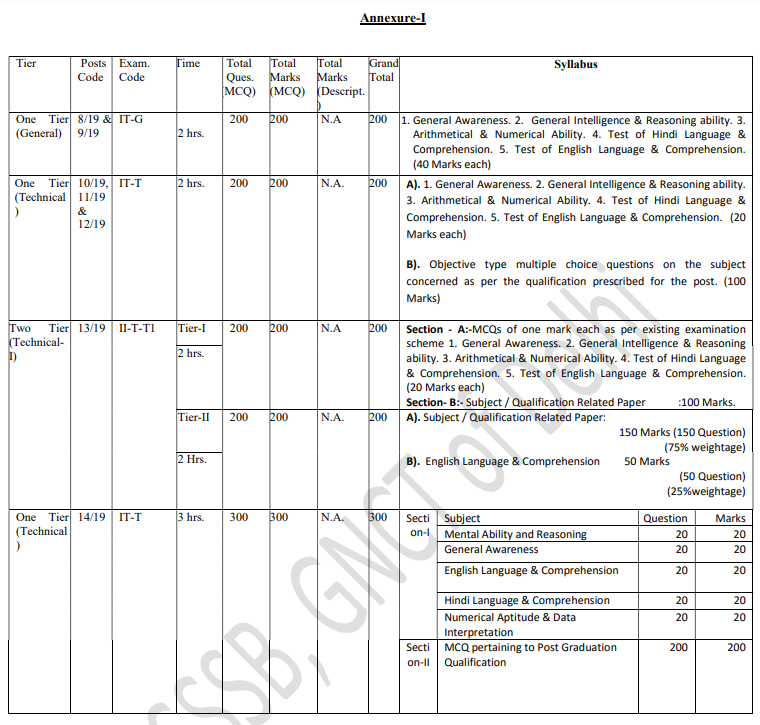 Below the image are important points related to syllabus and category wise minimum qualifying marks. Please check both the images carefully and let us know if any questions in the comment section below. Questions will be designed to test the ability of the candidate’s General Awareness of the environment around him/her and its application to society. The questions will be designed to test knowledge of Current Events and of such matter of everyday observation as may be expected of an educated person. In addition to the testing of candidate’s understanding and comprehension of the English and Hindi Languages. Ability includes questions of both verbal and non-verbal types. Along with the above details please also check the important note image provided below. It includes minimum qualifying marks as per various categories and other vital details. Best wishes to all the candidates. We believe you find the above article helpful. As soon as we receive any updates about DSSSB Welfare Officer Syllabus, they will be added right here. Enter all your questions and queries in the comment section below. Our team will certainly get back to you with relevant answers.